How fast is your internet download speed? The average US download bandwidth speed for PC Matic home users for 2016 is 22,383 Mbps. Your internet speed affects your browsing habits. Many folks with higher bandwidth rates take it for granted. They stream videos and music, perform quick research and check and interact with their social web sites with little thought (or buffering). Those less fortunate probably have some sense of envy of the higher speeds. A look at the US geographic download rates reveals each state’s average speed. The data shows that the East and West coast states come in with the higher speeds. While, the sparser populated North-central and Midwest states lag behind the average. Higher population seems to correlate to higher internet speeds. 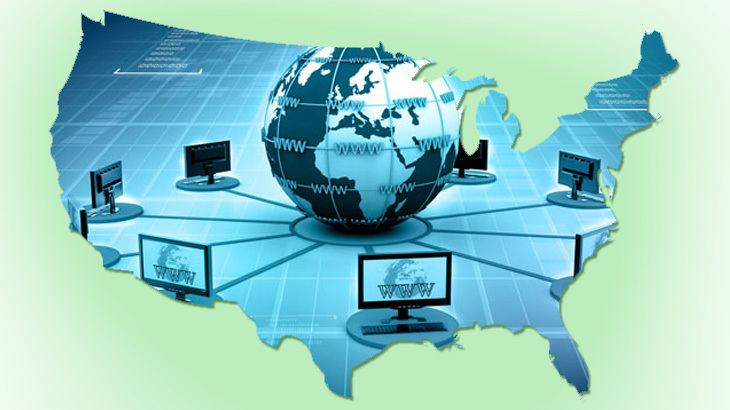 Undoubtedly, the higher populated regions provide the economic environment for ISP’s to invest in the internet infrastructure. A more granular look of the average internet speed is shown here in the US geographic map by county. PC Pitstop provides a tool to check your internet speeds. Check out the PC Pitstop’s Internet speed tests. Once you are on the speed test page, scroll down and click on one of the listed cities to see how your internet speed is preforming. Research, The Pit Blog internet speed download. permalink. Agree… Blank data sheets… Not much in the way of making your point without data to bac things up. As for ISP’s it has always been “up to” in the fine print and the infrastructure in some areas just can’t support the max data rates (esp outside of urban locations). It’s like water pressure at the end of a long pipe run, splits and branches upstream do have an effect.